Blennerhassett vault at old church at Dromavally, outside Killorglin. Photo by Peter Cox. Posted 2019 by Eva Ní Shuilleabháin. See also 2008 photo. From Stephen Gerard O'Callaghan. Creative Commons. See street view from strand. He grew up Castle Conway, Killorglin, Co.Kerry. He mar 1731 to Mary Fitzgerald. His father died c.1738. His older brother's line inherited Castle Conway. 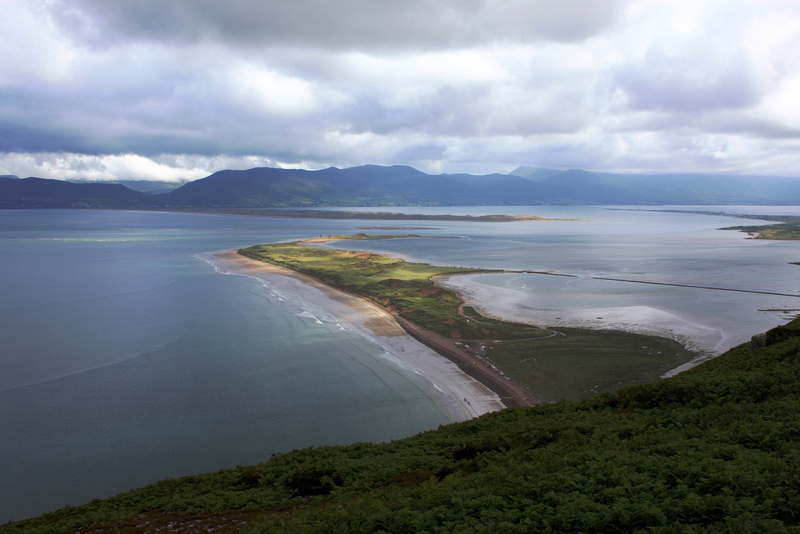 In 1760 he built Rossbeigh Lodge, on Rossbeigh strand (or Rossbehy), near Glenbeigh, some distance SW of Killorglin, Co.Kerry. His will is dated 6 Nov 1774. He is Edward Blennerhassett of "Rosbeagh". He died 1774, age 69 yrs. His will was proved in Ardfert and Aghadoe in 1774 [Index to Irish Wills]. see abstract of will in [MGH, 1883]. died 1913, age c.70 yrs. Her ancestry is [NLI] GO Ms 182, pp.124-6, microfilm POS 8309. Avis Blennerhassett, mar Gerald Blennerhassett. Anne Blennerhassett, mar Robert Hilliard. Jane Blennerhassett, mar Hilliard Giles. 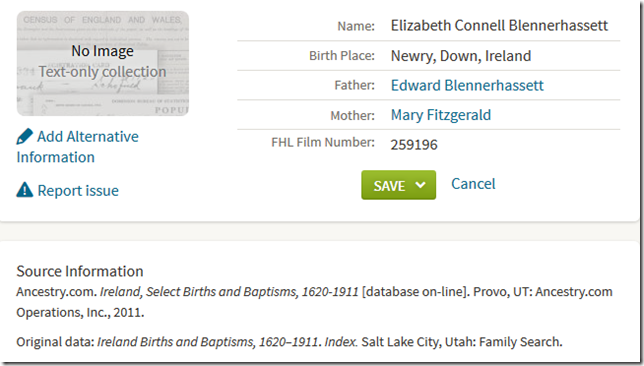 Ancestry.com lists her as born in Newry, Co.Down. But this must be just an error caused by her appearing in the [Crossle newspaper abstracts] from newspapers at Newry library. She mar 1stly to (think) Daniel Connell. Some sources list him as "Daniel O'Connor". But she is listed in her father's 1774 will as his dau "Elizabeth Connell (wife of Samuel K. Williams of Milltown)". Think this must be surname of 1st husband rather than a middle name. She mar 2ndly, pre-1774, to Samuel K. Williams (of Milltown, Co.Kerry) and had issue. 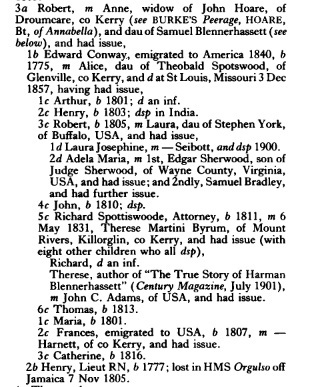 See family tree on p.593B in [Foster's Royal Descents, vol.4, 1886]. See family tree by Bill Jehan. See Elizabeth Blennerhassett in Wilson-Frith family tree. By Liz Koh. and apparently had issue (descendants Catholic). The will of Edward Blennerhassett was indexed in [Index to Irish Wills]. An abstract was published in [MGH, 1883]. Unfortunately the original will would have been burnt in the Four Courts in 1922. Also unfortunately, [MGH, 1883] made an error in the name which is still being propagated today. 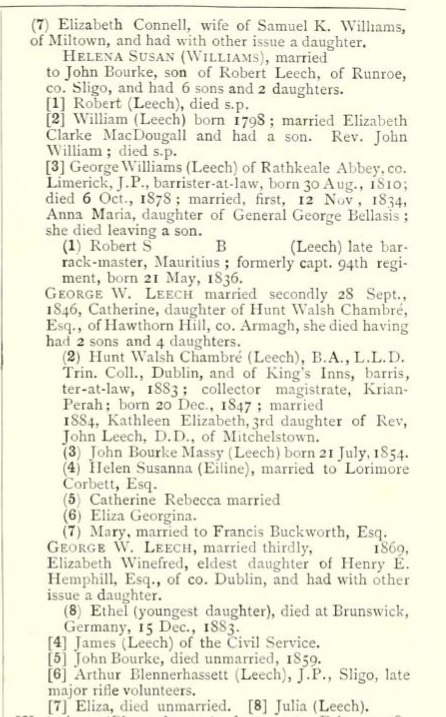 Blennerhassett wills listed in Ardfert and Aghadoe in [Index to Irish Wills]. He is listed correctly as "Edward". Abstract of will printed in [MGH, 1883]. The author just makes an error here by writing "Robert". It should be Edward. Note that in the family tree in the same article, the author writes "Edward", not Robert. Note that Black Jack names his children and does not name any "Robert". Unfortunately, this "Robert" error continues to propagate today. A large number of trees on Ancestry.com now include this "Robert" error. The late filing in 1904 of the will of Edward Blennerhassett of St.Louis (died 1857). From St.Louis Post-Dispatch, 6 Aug 1904. Bill Jehan notes many inaccuracies in the above. 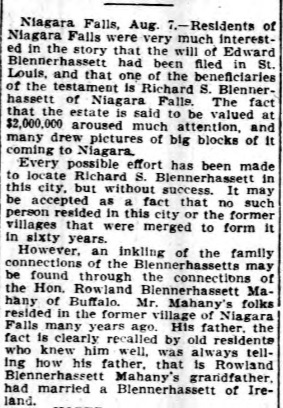 Another rather inaccurate article in The Buffalo Courier, 8 Aug 1904, about the Edward Blennerhassett inheritance. 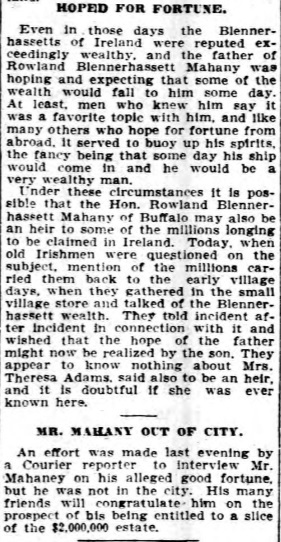 It speculates that Rowland Blennerhassett Mahany (1864-1937) may be an heir, but this seems to be based on nothing. Rossbeigh Lodge is now gone. Former location unknown. See old map and modern map. 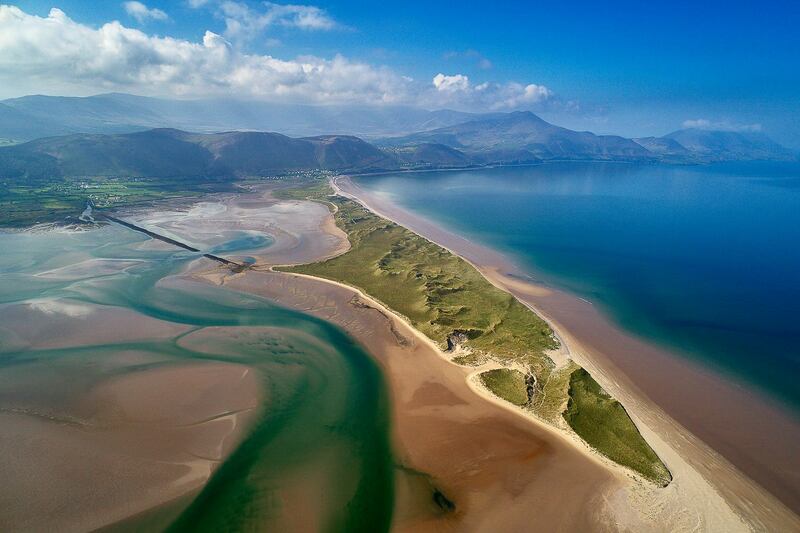 Public domain photos of Rossbeigh on Flickr and Wikimedia Commons.